Emmaline lives in a very tidy town, but Emmaline is not tidy. Emmaline likes to hop, hop, hop and holler, “Hoopalala!” And, more than anything, Emmaline wants a bunny. Orson Oliphant is mayor of the town. He is very tidy. Orson Oliphant does not like hopping and hollering. And, more than anything, Orson Oliphant does not like animals. He has banished them all, including bunnies. But there is still one special, secret place in town where animals can hop and fly and be free—a place where there is a bunny. Is there a way for Emmaline to have a bunny of her own? 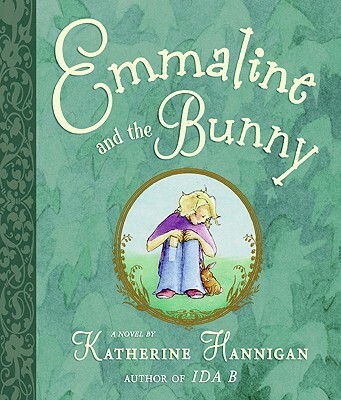 Written and illustrated in full color by Katherine Hannigan—the best-selling author of Ida B—Emmaline and the Bunny is a celebration of ingenuity . . . and untidiness.